We offer structured daily living programs employing positive behavior modification techniques. We offer activities such as arts & crafts and music to promote positive youth development. We offer mental health counseling, family reunification programs, health care coordination, and life skills groups to promote responsibility and independence. 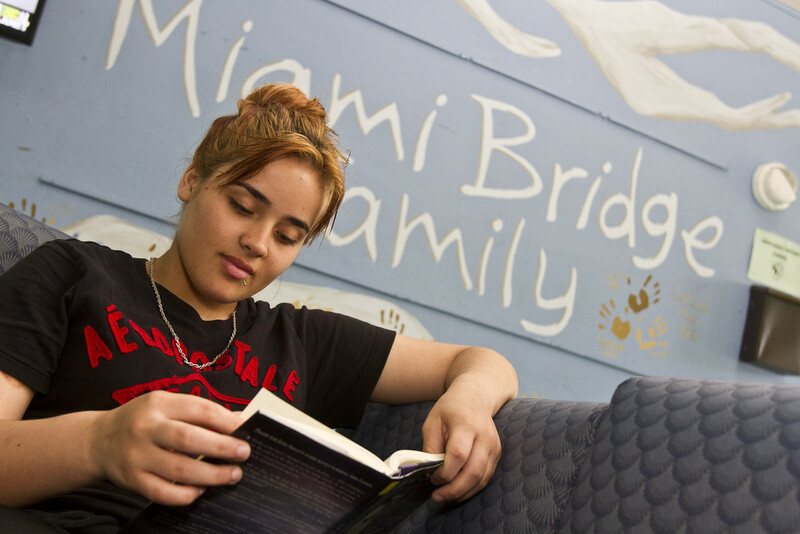 When parents and teens need personal space to gain objectivity, Miami Bridge residential services provides respite shelter. When youth runaway from family situations characterized by abuse, neglect, or domestic violence, Miami Bridge shelters are here to provide safe haven. When the child welfare system has no appropriate community based homes available to provide domicile for dependent adolescents, Miami Bridge shelters are here to provide nurture and essential services. When tensions and problems overwhelm, Miami Bridge's 'First Stop for Families' program is equipped to assist. A professionally trained social work staff understands the frustrations that drive wedges between children and families and assists in quelling the immediate crisis. Services offered include: Helping families in opening lines of communication, teaching families effective conflict resolution skills, reducing high-risk antisocial behaviors, linking families with needed community resources, teaching effective parenting skills, etc. Miami Bridge Youth & Family Services, Inc. intercedes when the Miami-Dade County Public School system has exhausted its range of outreach activities to re-engage truant youth. Miami Bridge goes an extra step further by developing new strategies to assist youth in overcoming issues that impede school attendance and personal development. With funding from HHS, Miami Bridge implemented a Basic Center Program (BCP) with the GOAL of providing a system of care for youth who are runaway, homeless, or at risk of becoming homeless outside the traditional child welfare, mental health, law enforcement, or juvenile justice systems, protecting them from exploitation and other dangers of life on the streets. Approximately 75 homeless youths ages 10-18, and families to be served each year. The agency has developed multiple Objectives and Outcomes to help us reach the stated Goal, emphasizing safe exits and aftercare services to reduce the likelihood of repeated family disruption (i.e., runaway or lockout) or other negative outcomes (i.e., delinquency, and dropout). While Miami Bridge service all GLBT youths, an intensive focus is placed on those 17+ transitioning into adulthood and face great risk of homelessness. By providing specialized and inclusive shelter services in a positive youth development format, recognizing the unique needs of GLBT youths, the program works to strengthen and support these special youths to enable them to actualize their full potentials to become productive community members. Approximately 150 GLBT youths are served annually. Learn more about Miami Bridge Youth and Family Services Inc.